It has long been a dream of mine to connect a hard drive at home to the Internet. This dream, of late, has been deferred by the rise of cloud services like SugarSync and Dropbox but two hard drive manufacturers, Buffalo and Iomega, have come out with compelling devices that seem to finally allow home and home office users to get the benefits of cloud hosting with the safety of complete control over your data. 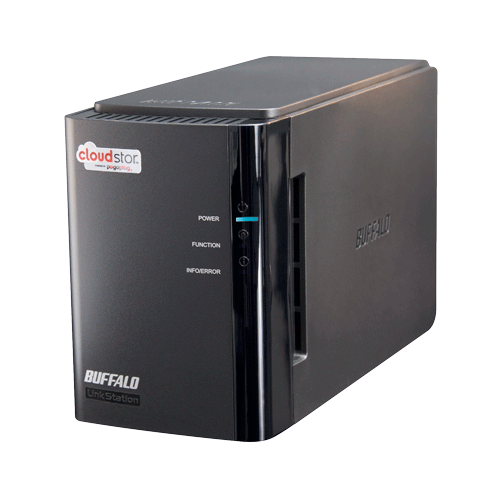 The two devices, the Buffalo CloudStor and the Iomega Home Media Network Hard Drive, come in multiple sizes and sit on your network. They are, for the most part, plug and play except for a quick port change for the Iomega drive. I’ve put them both together as their feature sets are similar in process but intrinsically different in performance. With this hard drive, Buffalo has eschewed homegrown technology completely and has embedded a full Pogoplug install inside the case. 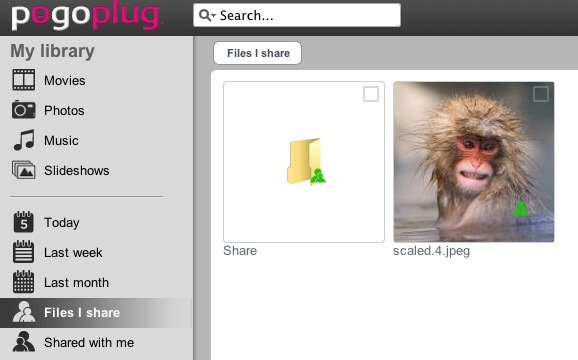 Pogoplug, as you’ll recall, is a dead simple file sharing box that lets you connect any external drive and share the content immediately, either with a secure login or with the world. This image [available until my ISP pulls my plug], for example, is stored on my local network and I’ve shared it publicly with you all using the Pogoplug interface. This is an amazingly useful feature and because it is a public share you can pull it at any time. The Pogoplug interface allows you to view videos and listen to your music over the Internet from any browser or specialized mobile app. It is a seamless, quiet solution to media streaming while on the go and you can also open up shares for others to grab your video. Obviously you have to have an acceptable upstream network connection to make it worth your time, but provided that is the case this solution is quite elegant. I’m impressed that Buffalo simply ignored the traditional route of buying or white labeling an unknown sharing system and went with an established player in the cloud market. The drive works amazingly well when you need to upload and share certain pieces of data in very specific contexts and is excellent for folks who are always on the go and want a ready store of information to be available from their home office. The drive has a BitTorrent client built-in and supports Time Machine backups as well as an “active directory” system that will synchronize with any folder on any PC, allowing you to create a cloud-based backup of your data. In all, it’s an interesting and very usable device. First, the Cloudstor is not UPNP compatible, which makes it almost invisible to most home media players. UPDATE – A setting that I was not shown will enable DLNA. Sorry. You can connect via an SMB share, but this makes it a less than capable home media streamer. Pogoplug has some open source variants that enable UPNP, but this drive does not support those updates – yet. The Cloudstor is outward facing. Its designed to allow you to access things through almost any firewall. As such, it’s not such a great internal server although I found that it had fewer hangs and failures than the Iomega drive. 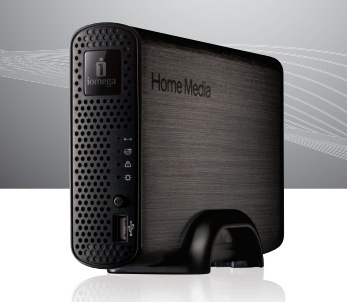 The Iomega Home Media Network Hard Drive is aimed a bit more at network-based VPN and file sharing. The drive itself supports remote access from anywhere in the world and acts as an iTunes server, DLNA and UPnP server, and a print server. It supports 64- and 128-bit encryption and you can “share” your drive with others using a unique key system that allows you to invite outsiders to access your data. The drive also includes TimeMachine backups and standard disk duplication for centralized back-up. The drive has Facebook and Flickr integration that lets you automatically send images up to those services without much fuss. You can also view videos and images from the road and, unlike the Cloudstor, you have access to them on your desktop and not in a browser. The Manager interface is a bit confusing at first and there was no feedback when I had to open a port on my router to allow the drive to access the Internet. However, once I figured out where the data had to go, the drive worked flawlessly. I had some issues using the drive as a home UPNP share and for a brief period I couldn’t access it at all, even on my home computers, because the shares were freezing and failing to connect. My concern is that Iomega’s system is a bit too complex for its own good. It avoids the web almost entirely and instead depends on a PC-based sharing interface. However, rather than confuse and intimidate I found that the drive sharing system worked well enough for those with a little bit of net savvy. On the whole I preferred Buffalo’s solution over Iomega’s although Iomega support a more media-centric workflow and as such made it easier to grab videos outside of a browser and on media sharing devices. However, if Buffalo opens the drive’s firmware to the open source Pogoplug solutions, I think it could be a winner. The sheer fact that both of these offer over a terabyte of storage on a seamless cloud is impressive in itself. Manufacturers have been trying to achieve this for years and the last good implementation I saw was in Netgear’s Stora line. I think these two drives have their plusses and minuses and I’m pleased to finally be able to say that each and every one of us can, in a way host our own cloud servers at home.